NEW YORK -- New details are coming to light about overseas trips that the suspect in the New Jersey and New York blasts took prior to the bombings. Ahmad Khan Rahami, the primary suspect in three separate bombing incidents in New York City and New Jersey, was taken into custody in Linden, N.J., after a shootout with police on Monday afternoon. 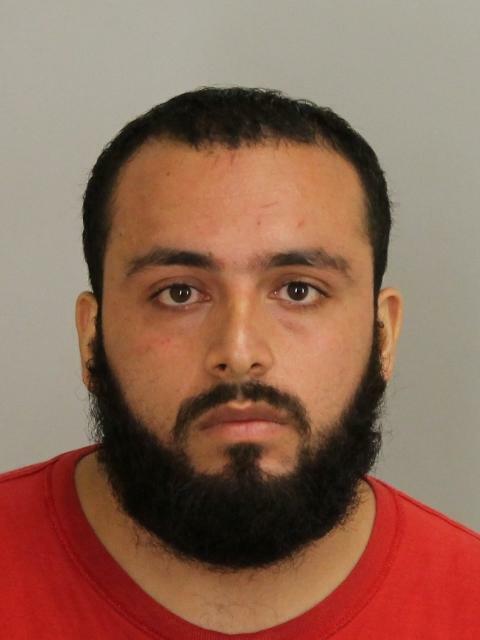 The Union County, N.J., Prosecutor’s office announced Rahami has been charged with five counts of attempted murder and two gun charges. Federal officials are still examining the possibility of terrorism-related charges. A senior law enforcement official told CBS News senior investigative producer Pat Milton that Rahami traveled to Afghanistan at least three times, the last time believed to be in 2014. The official said It is unclear at this time the purpose for the trips, investigators are seeking to see if the travel was to visit family or for other reasons. CBS News’ Andy Triay and Milton reported that two law enforcement sources said that Rahami also traveled to Pakistan during at least one of his trips to Afghanistan. A U.S. federal intel source tells CBS News that Rahami has a wife who lives overseas. According to the source, Rahami was not on any Department of Homeland Security watch or travel restriction lists. He had a CBP interview as protocol for people who spend a year away in places like Afghanistan. He returned from Afghanistan in 2014. The source said Rahami is not cooperating with law enforcement officials. A New Jersey congressman said Rahami contacted his office from Pakistan in 2014 to help get his pregnant wife a visa. Rep. Albio Sires said that Rahami emailed his office from Pakistan in 2014 seeking help because his wife had an expired Pakistani passport. Sires says he contacted the FBI about the encounter on Monday after Rahami was named as a person they were seeking for questioning. So far investigators have not uncovered any direct links to ISIS or any other terrorist organization, CBS News homeland security correspondent Jeff Pegues reported. The mayor of Linden, N.J., Derek Armstead, said the Afghan immigrant was captured on Monday after the owner of a bar reported someone asleep in the doorway of his establishment. CBS New York reported that when Linden police approached the man, the man raised his head and that’s when one of the officers recognized him as Rahami, Capt. James Sarnicki said. “The suspect pulled out a gun and fired at the officer and striking him in the abdomen,” Sarnicki said, adding the officer was shot in his bulletproof vest. Officials say two officers were eventually shot, although neither suffered serious injuries. Rahami was also shot multiple times by officers and was taken to a hospital. A massive manhunt was launched and millions of New York City-area residents were alerted directly earlier Monday after police identified Rahami as a suspect in connection with the Chelsea bombing that injured 29 people. Cellphone users across the tri-state area were alerted to the 28-year-old suspect’s name and description around 8 a.m. on Monday with a system normally reserved for flash flood warnings and Amber alerts. The arrest came just hours after police issued a bulletin and photo of Rahami. Officials say surveillance video places Rahami at the scene of both the bomb that exploded in Chelsea, as well as the one four blocks away that failed to explode and was taken away by police. Milton reported that Rahami was identified at least in part because he left a fingerprint on one of the unexploded devices. De Blasio said despite Rahami’s arrest, there will still be a large police presence in New York, especially with the beginning of the United Nations General Assembly this week. Rahami was also sought in connection with the bombing in Seaside Park, New Jersey, as well as the five explosive devices found in a backpack near a train station in Elizabeth, New Jersey, the suspect’s hometown. What helped the investigation was the extensive system of cameras in New York. New York City Police Deputy Commissioner for Intelligence and Counterterrorism John Miller told CBS News earlier this year that New York City has an elaborate monitoring software to pull information together in real time, known as the Domain Awareness System (DAS) with 8,000 cameras and license plate readers. In the lawsuit, Mohammad Ruhami and two of his sons claimed that starting in July 2008, Elizabeth police and city officials improperly tried to restrict the their fast-food restaurant’s hours. The lawsuit was terminated in 2012 after Mohammad Ruhami pleaded guilty to blocking police from enforcing the restriction. The city was fighting the claims. Ahmad Khan Rahami was not part of the lawsuit. The family claimed that baseless citations were issued against them, spawned by complaints filed by residents who disliked them and made anti-Muslim comments to them. At least four flip phones were purchased for the bombs in N.J., sources told CBS News. One was bought over a year ago. Officials haven’t revealed any details about the makeup of the pressure-cooker device, except to say it had wires and a cellphone attached to it. However, sources told CBS News the bombs were also made of balling bearings, and Christmas tree lights. Christmas lights were also used in the bombs made by the San Bernardino shooters. The Christmas tree lights were believed to serve as a fuse in the San Bernardino case, sources previously told CBS News. In Elizabeth, New Jersey, the last known address for the Rahami, Mayor Bollwage said after five more pipe bombs were discovered near a train station around 8:30 p.m. Sunday evening that he didn’t believe his town had been deliberately targeted. Bollwage said it was possible that someone worried about the authorities was trying to get rid of the package.